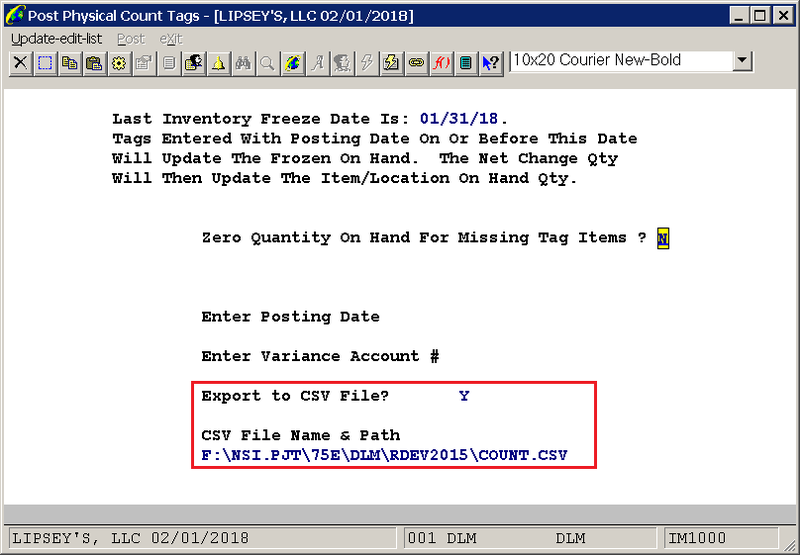 CSV support has been added to the Physical Count Posting Update Edit List and the Variance Report By Item/Warehouse. 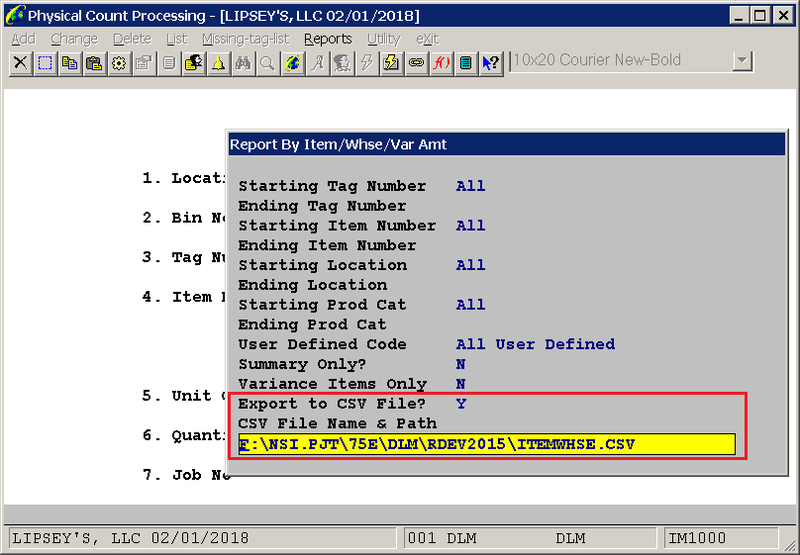 Enter "Y" in Export to CSV File?, enter CSV File Name & Path. AccumQty - An accumulated count quantity provided if there is more than one tag for an item. If there is only one tag for an item, the accumulated quantity will equal the counted quantity.